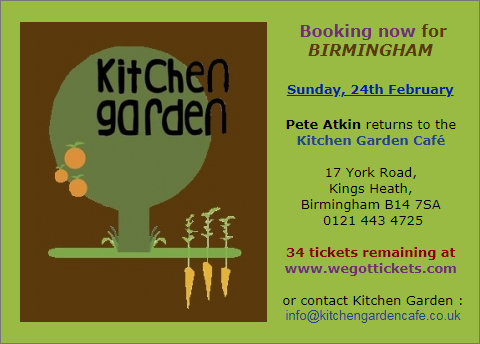 Great news for Midlanders: Pete makes a welcome return to the Kitchen Garden Café in Kings Heath, Birmingham on February 24th, a Sunday. Tickets are already on sale at wegottickets.com. For updates, see the live version of this entry in the Smash Flops Gig Guide.